Counting on You is the third book in the Counting series, and hopefully not the last. Why? Because I adore Marc and Henry and I was so happy to see how far their relationship had progressed since their last disastrous date. These two guys have not had an easy time of it, at all, and this installment is no different. As this is a continuation of their journey, Counting on You should NOT be read as a standalone because while you won’t be terribly lost, you also won’t understand the significance of some of the events that take place or the references to past events. This time around, Marc and Henry get the chance to work together again. While this sounds perfect for two guys who’ve been unable to spend more than a few days together in the past two months, it also raises some interesting issues they haven’t had the chance to address. The out-of-town project is high priority and expected to take only a few days, and their first day goes swimmingly until Marc “runs into” his father at the business they’re working from. Henry finds the extremely formal interaction between Marc and his father to be disconcerting, but even that doesn’t prepare him for their lunch with Marc’s parents the following day. And HOLY COW! That was a meltdown and emotional lashing out of epic proportions on Marc’s part. My feelings were bouncing all over the place as my heart broke for Marc, while at the same time I was mortified and angry for Henry at the position Marc put him in. Like both men, I wondered if their fledgling relationship could survive that scene – it was that harsh. Fortunately, Jensen doesn’t let the guys (or the readers) down as she guides them to where they need to be so that a future together is still a possibility. Chapter 13 is the perfect epilogue to their story. In fact, when I got to the end of chapter 12, I actually expected that to be the end of the book. So I was delighted when I swiped the page and discovered there was more to their story, and it made for the perfect ending to Counting on You. And don’t worry, Jensen still manages to include the requisite disaster that has become Marc and Henry’s trademark. On a side note, I finally figured out why I have a hard time keeping Marc and Henry separated in my head when I begin reading each installment, and it was because we finally met Marc’s parents that made me identify the issue I was having and why. Henry is out – at work, at home, with his friends, family, and colleagues – everyone of significance in his life knows he’s gay. Marc, on the other hand, had never been attracted to a man before Henry (although a memory in Counting on You suggests that it’s likely that he never acknowledged it before). With only a four-year age difference, I keep expecting Henry to be the more confident of the two in regard to his sexuality. However, Marc presents as someone much older than his 28 years and I am repeatedly surprised that he’s so comfortable with his budding relationship with Henry. However, upon meeting Marc’s parents and seeing just how cold, indifferent, and judgmental they were, I understood why Marc seemed so much older than Henry – because Marc has been an “adult” far longer than Henry (and more than the four years that separate them) due to the expectations placed on him at an early age, thus being forced to grow up faster. Or at least that’s how it seemed to me after the awful interactions with Marc’s parents. I’m just glad to finally understand why I’ve had to work so hard at not getting Marc and Henry confused while I read, and it was all on me and my expectations of the characters. Regardless, I thoroughly enjoyed Counting on You and hope that Jensen is inspired to bring us more stories of Marc and Henry. For reviews & more info, check out our Counting Down post. 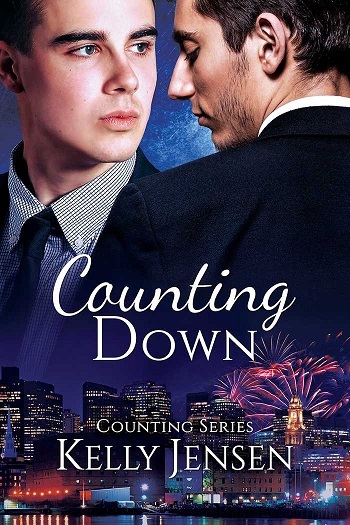 Reviewers on the Wicked Reads Review Team were provided a free copy of Counting on You (Counting #3) Posts by Kelly Jensen to read and review.